PRIME DEVELOPMENT LAND IN THE TOWN OF SMOKY LAKE. There is a need for light industrial land in the area as Smoky Lake is strategically located in an area between Edmonton and Ft. McMurray/Cold Lake and near the Heartland Heavy Industrial Area and the Northwest Upgrader at Redwater so this 50 acres is a perfect fit for development to service those areas. 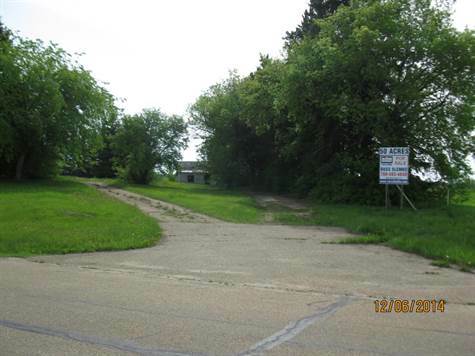 This land is located in the southeast corner of Smoky Lake with quick access to Hwy 28. Some engineering work has already been done for this property. The land will need to be re-zoned. The buildings on the property have no value. The Town is now hooked up to a water line from Edmonton so the area has a good, reliable water source. GST will apply to the sale.